This is a 1969 Accutron model 218. It was presented to my father by Union Carbide Corporation in 1970 for 25 years of service and is inscribed on the back. It has a 14kt gold filled case and still sports the original Speidel band. And it has the original box, case, tags and owners manual. 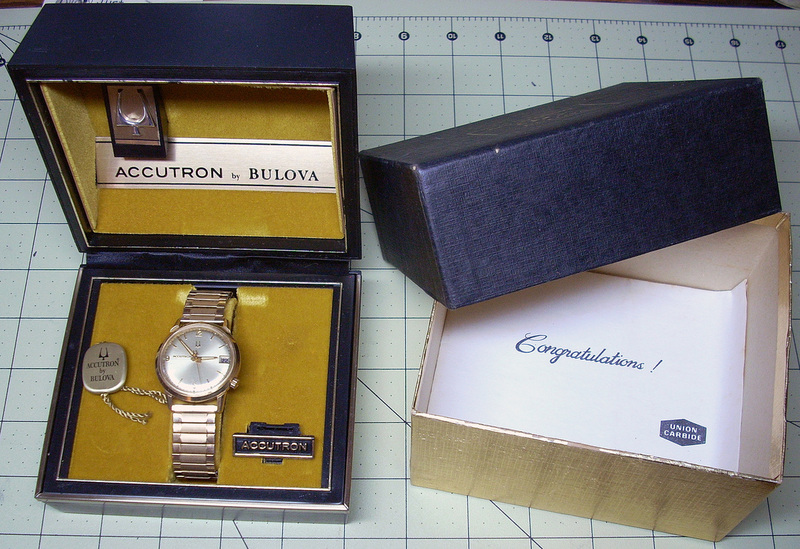 There's also a congratulations paper in the box from Union Carbide with the name and address of the jeweler where it was purchased. The watch wasn't worn much and is still in good condition. 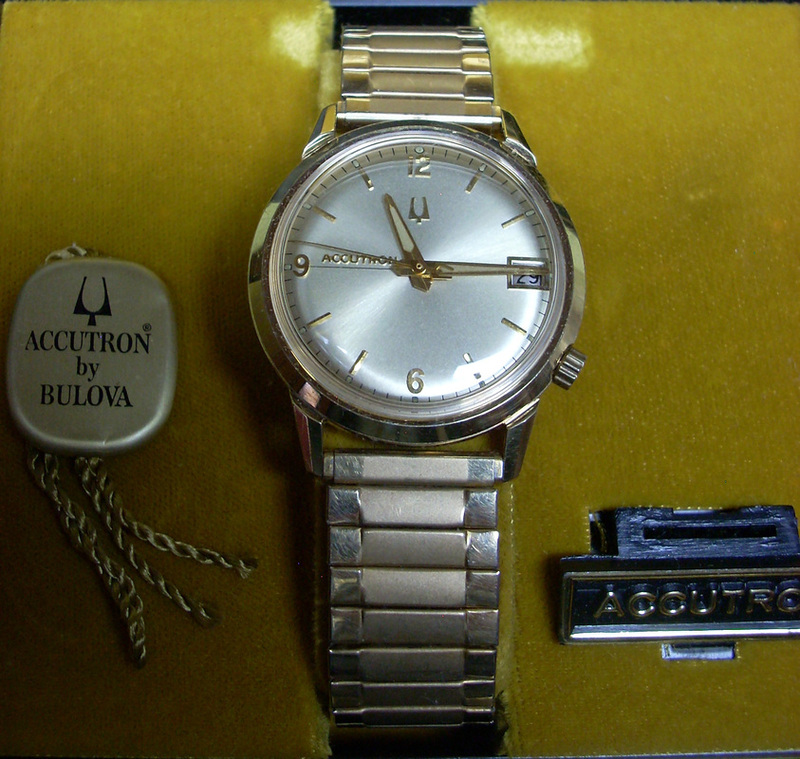 It has been fully serviced by a watchmaker who is an Accutron specialist and runs like new. This is another model 218 Accutron from 1970. It has the tuning fork second hand, date and Speidel band just like my dad's watch but this one is stainless steel. It has also been serviced. It's inscribed on the back as a 25 year service award from C&P Telephone. This is a model 214 Accutron. It is also from 1969 and has been serviced as well. The 214 was the first model Accutron available to the public and came out in 1960. The 214 does not have a crown on the side for setting the time: instead there is a flip-out setting crown on the back. And, unlike the model 218, the battery is easily accessible without removing the entire back.